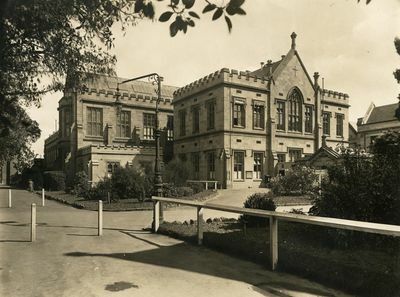 University Press in Main Building, University of Melbourne, circa 1930-1935, University of Melbourne Photograph Collection, University of Melbourne Archives, BWP7162. Melbourne University Press was founded in 1922 to sell books and stationery to students of the University. It soon developed its own publishing program and later established its own printing facilities, and its first publication was a duplicated set of notes from the Physics School, then known as Natural Philosophy. The Press's first monograph was Myra Willard's History of the White Australia Policy, published in 1923. In the first two decades of its existence, the Press also ran a post office, provided lecture notes and hired out graduation regalia! From 1944 the activities became more streamlined, and Melbourne University Press focused on the core roles of publishing books and managing the bookshop. 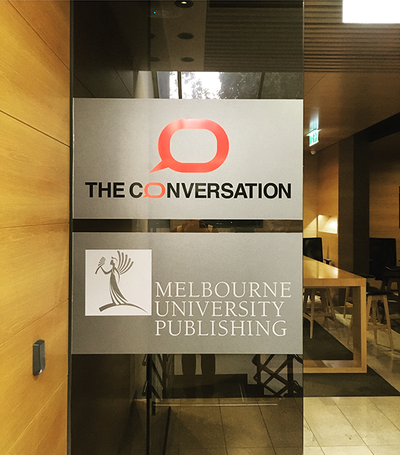 The current MUP office in Carlton, which we share with the good folk at The Conversation. In 1967 The Miegunyah Press was established as a special imprint of Melbourne University Press, through the vision of Sir Russell Grimwade and the major bequests provided by him and his wife, Mabel. Books published under the Miegunyah imprint are distinguished by their reputation for quality, and are lavishly illustrated landmark books that document the national story. Melbourne University Publishing inherits the proud eighty-year history of Melbourne University Press, which in 2003 became Melbourne University Publishing Ltd, a wholly owned subsidiary of the University of Melbourne. MUP today publishes under three main imprints: Melbourne University Press, The Miegunyah Press and MUP Academic. MUP is also proud to include the literary magazine Meanjin under its stable of imprints since 2008. In addition to publishing approximately fifty books each year over a wide range of subject areas and disciplines, MUP maintains a substantial backlist of some 500 titles, which can be ordered through the website. Welcome to the new MUP websiteA beautiful new website with improved features, greater discounts and books, books, BOOKS! 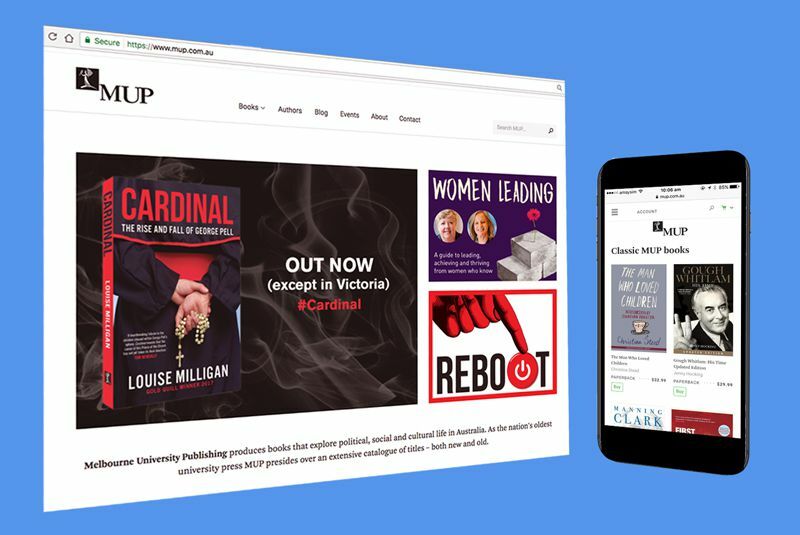 In 2017 Melbourne University Publishing celebrated its 95th birthday, making it the oldest university press in Australia – and the newest to gain a dynamic new website. The website was designed to be as useful as possible, while providing an informative and easy-to-use shopping experience online. Most books are available as paperbacks, hardbacks or ebooks, and when orders are placed, MUP notifies the customer along every step of the way. With 95 years of publishing behind us, MUP has an extensive and prestigious back catalogue of books, now available to purchase online. In 2017 MUP expanded its website with a special membership program, offering MUP members special offers and discounts (it’s free to sign up and won’t take a minute). Team MUP farewells Emeritus Professor McPhee, the Chair of Melbourne University Publishing for the past six years.